Welcome to Part 2 of my Watercolor Series! You can see the first post here. 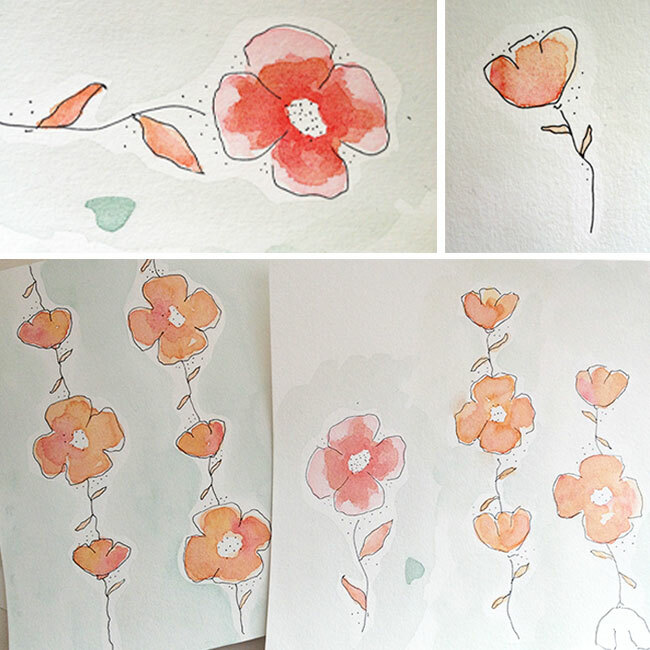 I’m excited to share my watercolor poppies with y’all. For this week, I wanted to practice painting small, dainty flowers that had a sketchy feel. I thought of what might look good on scrapbook paper or small print fabric to get the look I wanted. To accomplish this, I chose to use a repeating pattern with small details, dots and pen to outline the flowers. I joined a watercolor group (i’m afraid of this group, they are all really good!) on LinkedIn and watched many videos on YouTube…I recommend YouTube if you want to learn how to paint, so many great tutorials! I’m linking to Paint Party Friday, a linky party for all types of painters. Nice poppies, and thanks for the list of links! I”ll be book marking for later. 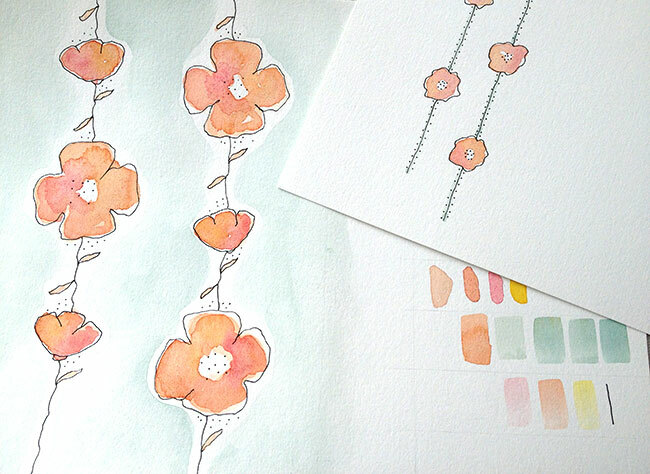 Posted your watercolor hearts today on my blog. Beautifully whimsical and delicate poppies, Kristin! love your poppies, the simple colourful lines. Kristin I am loving your poppies..both last weeks and this week! So airy..dreamy..pure gorgeousness! I could see this as a print on beautiful fabrics….it is really uplifting..full of energy ! You are making me crave the garden.. Loved your watercolours! Thanks for the links as well – this is something I want to work on as well. I really like these, very “light” in feeling, but colorful. I love the blend of watercolor and the black ink…very nicely done!! Good job! Thank you Pauline! You’re so sweet!